All Achievement Prep scholars, both returning and newly admitted, must submit all required forms in order to attend Achievement Prep in the 2019–2020 school year. 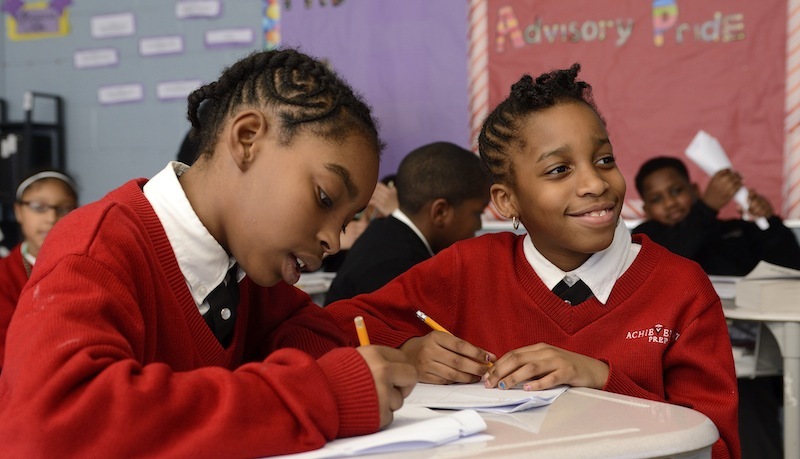 If your child was matched with Achievement Prep through the My School DC lottery, we are thrilled to welcome you and your scholar to our family! We are a community of dedicated and supportive individuals who are committed to providing our scholars with the high quality education that they deserve. All newly accepted families must complete all of their required enrollment documentation by Wednesday, May 1, 2019 in order to accept and guarantee enrollment for the 2019-2020 school year. Your family will receive instructions on how to complete the online registration process, including the Snapcode, by Friday, April 5, 2019. The Wahler Place registration hours are between 9 am and 4 pm Monday through Friday (by appointment only) to assist families with completing forms. There is no cost to complete the registration process. Scholars who do not submit required documentation by Friday, April 19, 2019 risk losing their seat, so we encourage you to submit your registration materials as soon as possible. To use InfoSnap, please go to this site and enter the unique Snapcode that will be mailed to you by April 5th by Achievement Prep to log in. Please click here to access and complete the required enrollment document. Scholar birth certificates (original, not a copy) must be submitted in person, not through InfoSnap. Proof of identity can only be submitted in person, and must be an unexpired, legal form of identification (drivers license, state ID, or passport). The most recent report card must be submitted in person during the registration process.